In an email sent out to his loyal fanbase yesterday, the master of “baroque pop,” Rufus Wainwright, spoke about the project that has received all his attention of late: Hadrian, his second opera. With a heartfelt essay, the openly gay musician speaks of his early intentions to turn one of his favorite historical subjects into a new work of art, and announces its premiere date. The Rufus Wainwright opera Hadrian will premiere at the Canadian Opera Company in Toronto on Oct. 13, 2018. 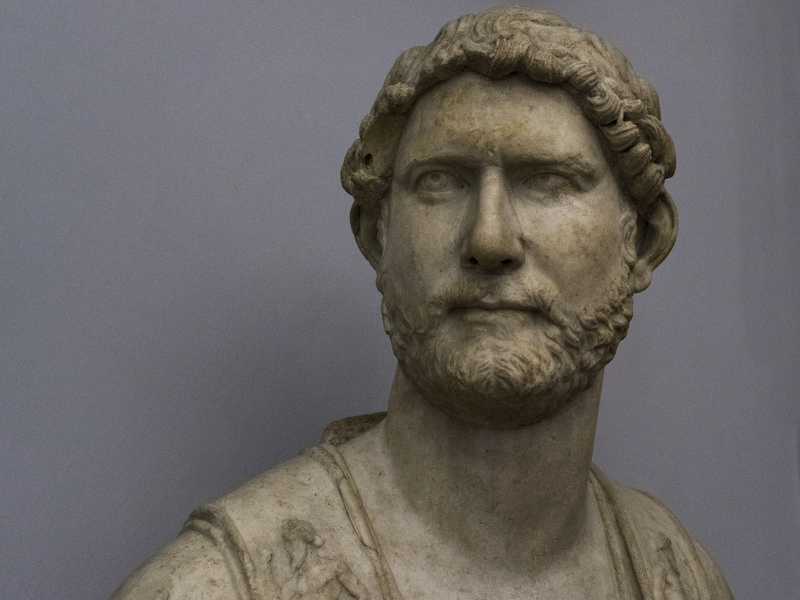 As he says in his letter to fans, Hadrian is known as one of the most just rulers of the Roman Empire, but his accomplishments have long been overshadowed by his famed love for another man. 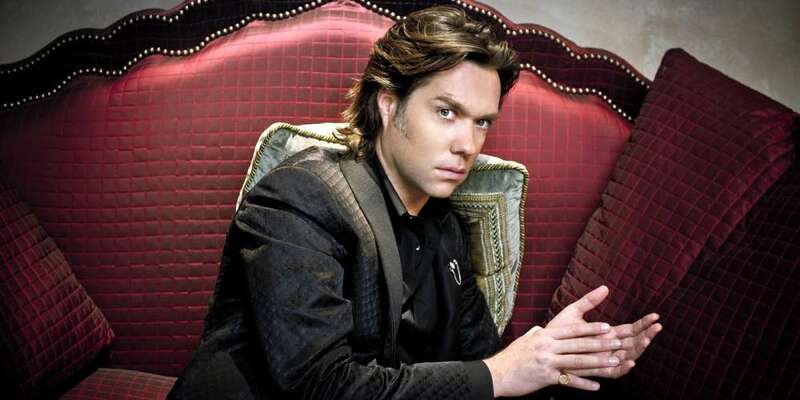 The Rufus Wainwright opera Hadrian will be the second such production under his belt, as he premiered Prima Donna in 2009 in Manchester and later brought it to New York in 2012. That production followed a day in the life of an aging opera singer. 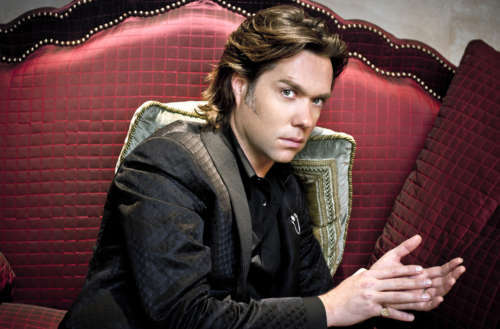 Tickets for the Rufus Wainwright opera Hadrian go on sale this August. We can’t wait to see the new work of one of the current music landscape’s greatest craftsmen. Hadrian was the first opera I wanted to compose. When I first read the fabulous Memoirs of Hadrian by Marguerite Yourcenar, a seminal work which deeply inspired at least three generations of gay men, I was instantly struck with the idea of transforming this historical subject into operatic form. Both its intimate nature and wild grandeur seemed perfectly suited for what opera does best: creating a hyper-illustration of the dark inner lives of people up against formidable outer circumstances while at the same time musically careening through the jagged and surreal dimensions of what lies in between. No other theatrical form truly refracts life into myriad vibrantly bright colors as much as opera does, and the tale of Hadrian, arguably Rome’s greatest ruler, is a diamond perfectly cut for such a task. Truth be told, back then I was about 25 years old and, faced with the various planes of this massive story — Rome, Greece, Egypt, Israel, homosexuality, power, magic, death and of course love — I didn’t quite feel up to the task. I knew that I would need at least one trip to the rodeo before making it to the Grand Old Opry. Not long after that realization I watched an interview with Maria Callas and the story of my first opera, Prima Donna, fell into my lap. Once again I was struck, this time instantly knowing that a two-act drawing room drama, all taking place in one day and involving only four major characters, was feasible for me to illustrate. Plus, it was exceedingly natural, since I’d always been mentally living in 1970s Paris anyway. Hadrian had to be deeper. In this new piece I still very much lean on Grand Opera’s Romantic tradition. (I mean, it is Rome after all!) And I continue to follow my sincere love of long melodic lines mixed with rich orchestral textures, a pattern begun in Prima Donna. But whereas the aforementioned rainbow refraction is occurring, hopefully, it’s through a much darker and harsher lens. This story unfolds amidst the upper echelons of a brutal militaristic state and involves historical facts wrapped up in total speculation and surrounded by the supernatural. It’s heavy stuff. Maybe I’ve just given away the fact that my opera is not based on Yourcenar’s book. ‘Tis true, it isn’t, nor is it in any way firmly tied to what probably occurred 2,000 years ago. My Hadrian, with considerable help from librettist Daniel MacIvor, is a surreal romp through time and space, mixing true occurrences with complete fabrication in order to illustrate a vivid “creative snap shot” of what the end of the classical era may have felt like — a period that, in my opinion, was one of the most important in Western history. The opera focuses on the emperor’s true but problematic love of the beautiful male youth Antinous. All the while the dark specter of monotheism rises in the distance, heralded by the Jews and early Christians, which would ultimately destroy the lovers’ ancient pagan belief system. In my research on the period it quickly became evident that huge tracts of Hadrian’s life and legacy were purposefully destroyed by vicious detractors — a tremendous tragedy, since judging by surviving accounts and historical facts, he was a productive and just ruler. This, of course, is heavily clouded by his massacre of Jews, which cannot be forgotten, and a major focal point of the opera is this massacre, the results of which we are still confronting today. Hadrian’s stabilizing of the Empire; his huge focus on philosophy, arts and architecture; his emphasis on diplomacy instead of brute force; and eventually his successful transfer of power; all of these achievements, as well as the dark stain of the massacre, would be better known and more deeply understood had it not been for one thing: Hadrian’s overt and open homosexuality. Almost immediately after Hadrian’s death the patriarchal dictates of mankind took over the narrative, leaving the pathetic ancient observation that “he wept like a woman” when Antinous drowned to overshadow all of his accomplishments. The powers that be were embarrassed by his love of men until the brave Marguerite Yourcenar, the first woman to be inducted into the Académie française, took up Hadrian’s mantle. I could go on and on exploring all the fascinating ideas which swirl around the subject of my second opera. Nothing pleases me more than plunging into the vast annals of ancient history to try and get a sense of what on earth is going on now. But I am a composer, and therefore my armchair intellectual reach should be superseded by the music — music that I hope you enjoy. Find more info about the Rufus Wainwright opera Hadrian here.